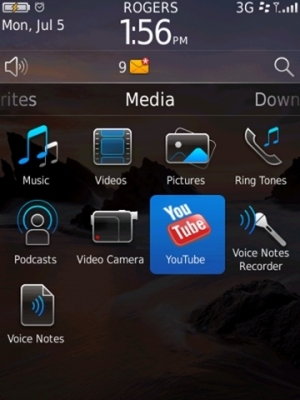 RIM shows off OS 6's multimedia experience | BlackBerry Blast! In an effort to stay keep up with iOS and Android, RIM is showing off the multimedia aspects of the upcoming OS 6. We've previously seen commercials and screenshots, and now RIM is giving us a bit more to chew on. The company has released seven new screenshots hoping to show off the multimedia capabilities of OS 6. "Our team has been working hard to enhance the overall multimedia experience in BlackBerry� 6, and we�ve packed a lot of changes into the upcoming release. I�m very excited to be able to provide some more details about this aspect of BlackBerry 6 today. In pulling together this update, the multimedia team focused on delivering an intuitive multimedia experience right out of the box � so whether you are a power user or new to mobile multimedia on BlackBerry smartphones, you can easily find and use the enhanced multimedia features." It looks like RIM is doing a nice job with OS 6, but we need to see it running on a phone to be sure. Let's hope they release it very soon!